At one time or another, whether you're a homeowner, a renter, or you live in a house or apartment, you will be faced with some sort of plumbing problem. It may be something simple like a clogged toilet, but it will happen. Bad plumbing is as inevitable as death and taxes. Having to shell out truckloads of cash for pipe or leak repair can take a toll on the wallet, and small issues can quickly turn into disasters when messing with the water supply inside your home. Learning a few simple tips and tricks can resolve many of the more common problems while practicing proper maintenance can prevent the rest. Pliers – A good pair of tongue-and-groove channel locks will work. 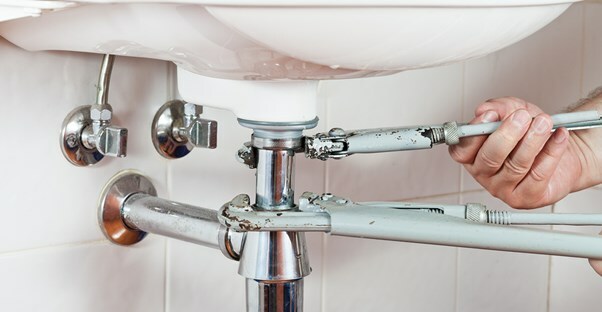 Basin Wrench – Also known as a sink wrench. Compression Sleeve Puller – You'll want this if you're going to be working with pipe. Pipe Wrench – The plumber mainstay. It's still essential for heavy-duty work. Adjustable Wrench – It's always good to have a backup. Now that you have a toolset, it's time to learn the plumbing system in your home. The most important things to locate are your shutoff valves. Depending on the design of your system, you may have them at each bathroom and in your kitchen. The key valve to find is the main shutoff to the house. Typically, this is located close to where the water line enters the structure. In apartments, it's usually by the water heater. Be sure to keep its location in mind while you make repairs. Following a simple maintenance checklist will cut down on many problems and keep your pipes free and clear. In the bathroom, ensure your toilet runs smoothly by clearing any slowdowns or clogs before they get worse. Using a snake will get your pipes as clean as possible and can fix most build-ups no matter how bad. You can rent a snake at equipment rental stores if you don't want to buy one. In the kitchen, check for any leaks around the faucet and garbage disposal. The kitchen sink gets used the most out of all the areas in the house. Leaks most commonly begin here. Buy a mild drain cleaner and pour a bit down the drain every month or so. This will help to break down clogs before they begin. Always be prepared. Having a good set of tools will go a long way when the inevitable leak occurs. Following a solid maintenance routine will prevent many problems from even beginning. The point is to do everything you can to save time and money when your plumbing decides to quit.